Near Deauville and overlooking the sea, this holiday residence with 3 floors is surrounded by a large private garden with a petanque area, tennis court and playground for children. It is located 800 m from the beach by stairway and private roads and 1 km from all shops. 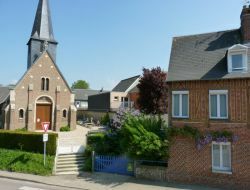 Cottage for 6 people in the center of Ste Mère Eglise in La Manche, near the D-Day landing beaches. Honfleur, the medieval city, the Norman coast and the sea. The city of the painters opens to you and invites you to spend holidays of charm in furnished apartments with refinement in shipowner's house. Private car park. 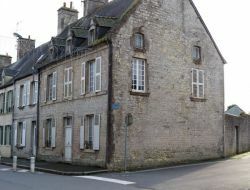 Pleasant independent cottage completely renovated in an old building close to Bayeux and the landing beaches. 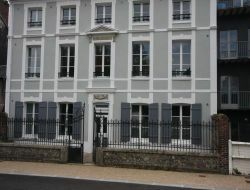 Holiday cottage in Normandy, 2 km from Granville and 1 km from the sea: Town house in stones renewed with sheltered terrace. Seaside stay from Sunday till Sunday for 4 persons + baby (supplied equipment); attractive sea view from the 2nd floor. Free WiFi. 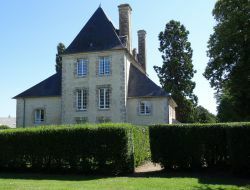 Rent of charming holiday cottages in the Calvados, situated in a beautiful castle of the XVIIth century. 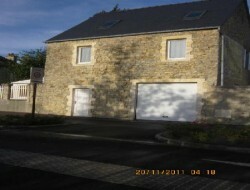 Gites for 6 people, 3 bedrooms, living room and kitchen. Possibilities of the additional beds. 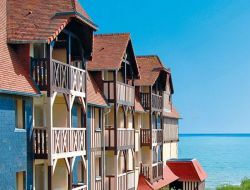 You will go off to explore Normandy, situated between Caen and Falaise, Norman Switzerland and Pays d'Auge. Shops nearby. 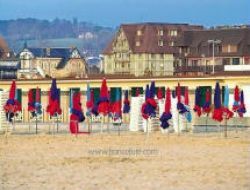 Rent of a studio for 2 people to Deauville, in a luxury residence with guard, close to the shops, the beach and the city center. 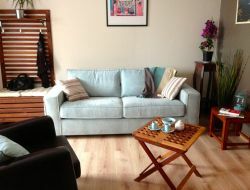 Apartment of 27m² equipped, with an entrance with cupboard, a main room and a kitchen giving onto a balcony. Cottage in a one-hectare property, ideal for exploring the quiet Norman while enjoying the charms of Honfleur. 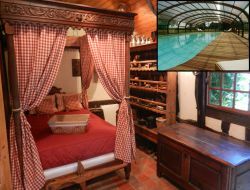 Within an orchard, we welcome you in a old press renovated to the authentic. Very nice amenities!